Looking back on 2016 I am filled with gratitude. I had a fantastic year, with so many amazing experiences. When I started counting how many days I had been abroad in 2016 I was a little shocked… My total of travel days for 2016 comes to a whopping 87! I know it’s not nearly as much as in 2015, but I was working full-time in 2016. Whereas in 2015 I was on a 5 month sabbatical. My total of 87 travel days means I was traveling 24% of the year! The only month I didn’t go abroad was February. I visited 9 countries in 2016, 3 of these were new (Cuba, Japan and Ireland) and 6 countries I had visited before (Austria, U.K., Spain, Thailand, Croatia and Germany). I boarded a plane 17 times and made 3 road trips (on Hokkaido in Japan, around Andalusia in Southern Spain and on the Wild West Coast of Ireland). I made 3 dives in Cuba, hoping to increase the number of dives in 2017☺. So where I did travel in 2016? January: Austria and the U.K. I kicked off 2016 with a trip to Austria, where I went skiing with my husband, parents and parents in law. I learned skiing when I was 16 and absolutely love it! I had only just returned from my skiing trip when I flew to London for a weekend. Unfortunately, the reason for my trip to London was a very sad one. We visited a good friend of mine who was in the hospital. I didn’t take any trips in February, but still this month was dedicated to travel as I was preparing for my trips to Cuba and Japan and was doing research pretty much every night. Plus, I got a new passport which I hope to fill with plenty of stamps in the upcoming years! In March I traveled to Cuba with my mom! This trip was great for several reasons. First of all, it was wonderful to spend 10 days with my mom. We talked, we laughed, we collected shared memories and we learned how similar and also how different we are from each other. Second, it was a very special experience to visit Cuba, I have written about this trip here. It was somewhat of an emotional roller coaster and I’ve tried to write down why as good as I can. My husband and I flew to Japan for an amazing 1 month trip. While I still feel New Zealand is the most beautiful country in the world, Japan is a good runner-up! And the food… I would fly back today for a bowl of Aburasoba?. 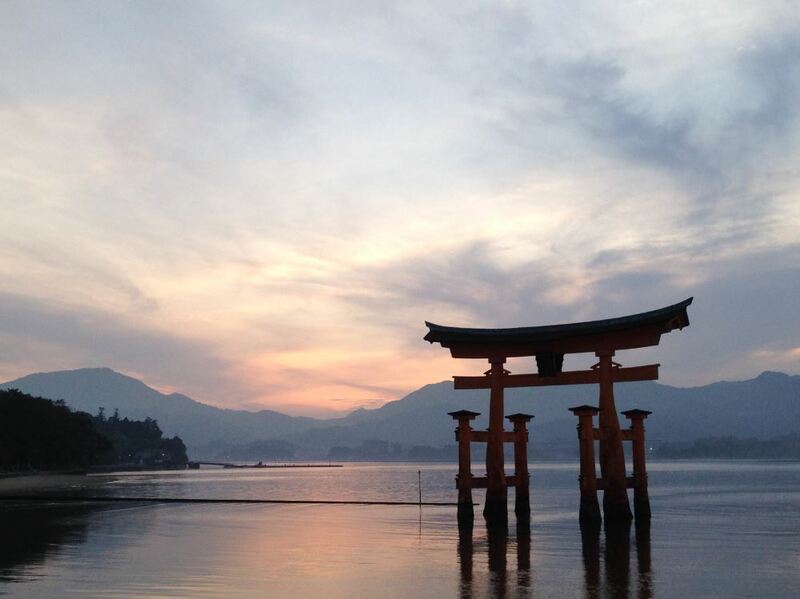 We explored Tokyo, road tripped around Hokkaido, visited Hiroshima and camped at Miyajima Island. We hiked the mysterious Koyasan Choishi Michi pilgrimage trail and admired the many temples in Kyoto. 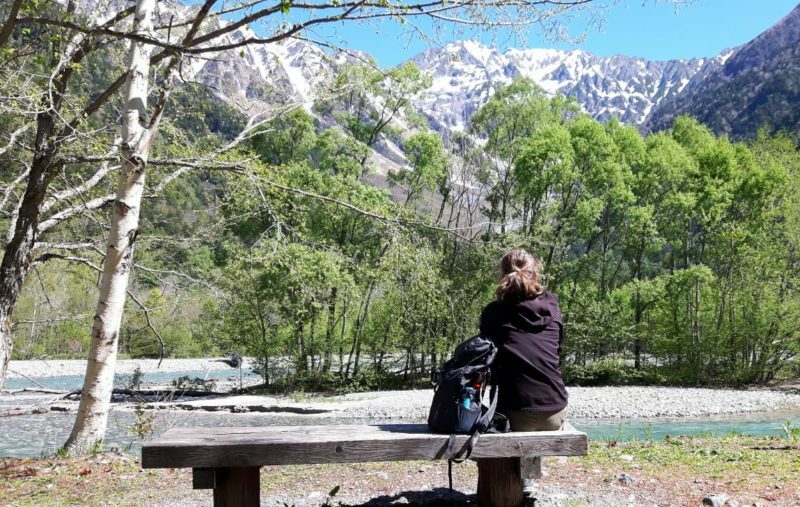 To end our trip on a high (quite literally), we traveled through the Japanese Alps to go camping and hiking in Kamikochi. I would love to return one day to explore more of this versatile island in the Pacific Ocean! The weather was nice in the Netherlands and thus I did some hiking in Drenthe, my favorite province in the Netherlands. At the end of June I made a spur of the moment decision to visit my parents in Spain, where they were making a road trip. I joined them for a couple of days, driving around amazing Andalusia. It was great to be back in Spain, which remains one of my favorite destinations. 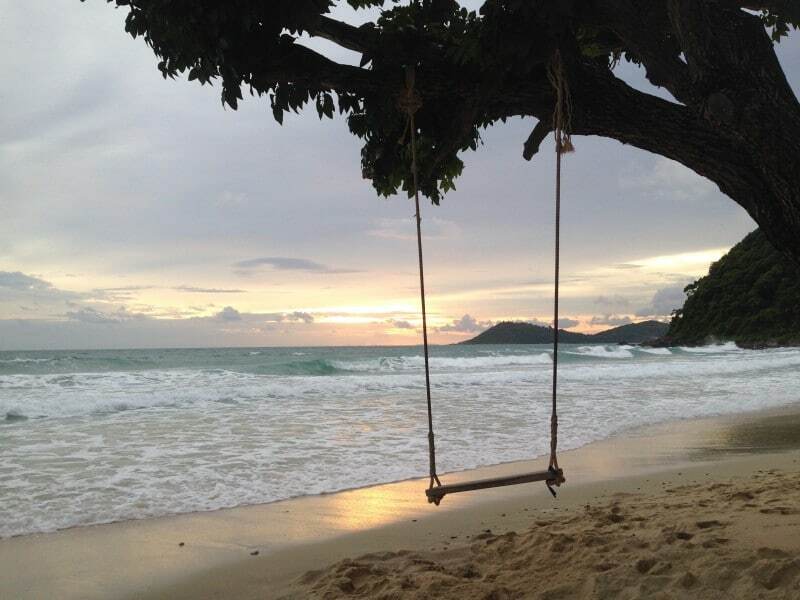 I traveled around Thailand for three weeks, I was very happy to be back in Southeast Asia. I love the food, the heat and humidity, the beautiful temples, the smiling and friendly people and last but not least the organized chaos and unmistakable smell of incense. It was great to walk around Bangkok again to find steaming soups for breakfast, lunch and dinner. And I finally got to visit Sukhothai and Ayutthaya! After finishing a particularly busy project at work (yes, I did work in 2016?) I was happy to spend a relaxing week sailing around the beautiful Dalmatian Islands in Croatia. It was another trip with my husband, parents and parents in law and we had a great time. I vowed to myself to explore more of East Europe in the (near) future, it’s absolutely gorgeous! Since getting married my husband and I have celebrated our anniversary by taking a city trip together. In the past years we have explored Rome, London, Antwerp, Sardinia, Prague and Paris. But this year we decided not to take a city trip, but to go road tripping instead. In beautiful Ireland no less! We explored part of the Wild Atlantic Way on the West Coast of Ireland with a campervan and while we had prepared for wind, cold and rain, we got sunny days instead. Ireland is stunning and I will definitely go back to explore more of the country of leprechauns (haven’t found one yet, no choice but to go back?). Another highlight of November was handing in my resignation. Don’t get me wrong, it’s not that I don’t like my job. It was a difficult decision because I work in a great team, have plenty of freedom in my job and I have learned so much in the past couple of years. I spent most of December at home in the Netherlands, spending time with my family and friends and plotting where to start our Big Trip. But I did manage to squeeze in a weekend in Frankfurt. Friends of mine have been living there for years and showed us around their city. We also visited the Christmas Market in Heidelberg and had gluhwein (not my favorite, I prefer my wine cold and white?). Altogether it has been an amazing year, I feel very lucky to have traveled so much while having my full-time job. Now you might be wondering how I traveled 87 days and worked full-time? I work 36 hours instead of 40 hours (4 days 9 hours). This gives me one day off every week. I frequently use this day to extend my (weekend) trips. My employer has a policy which allows you to buy extra holiday days and I have done so since I started this job. This gives me an additional 2 weeks of holiday each year, on top of the 27 days I already have. I take short (city) trips to places in Europe. For these short trips I am prepared to fly/travel at less than ideal times. For example, this year I drove to Austria after having worked the entire day, driving the entire night to go skiing the next morning. In 2015, I flew back from the Azores in the middle of the night, arriving at Schiphol airport at 5am, falling asleep in my bed at 6am and waking up for a work call at 9am. Not ideal, but to me it’s worth it. For our 5 month trip I took unpaid leave, after our trip I went back to my job (and immediately started plotting new trips?). I rarely buy clothes. On our 5 month trip I realized I don’t actually need so many clothes, I always have a couple of favorite items and end up wearing these the most. I sold a lot of our stuff in a garage sale, selling (or throwing away) everything we didn’t use since our last move. We don’t have a car. We could afford to buy one, but we don’t really need it as we both commute to work by train. While having a car would be easier for some trips, I rather safe a couple hundred euros a month to spend it on trips instead. I try to minimize buying coffee (but being a coffee addict I don’t always succeed?) and bring my own lunch to work. It’s doesn’t seem like a lot of money but in the end it still adds up! So that was my 2016! How was yours? I would love to hear about your 2016 adventures and the ones you have planned for 2017! This is most people’s dream, so many countries in one year and you did it with a job. Awesome adventure, looking forward to your 2017 travels. I know I am very blessed to be able to travel so much and I will never take it for granted! I’m very excited about my 2017 Big Trip:-). What are your travel plans for this year? Sign me up for the monthly Phenomenal Globe newsletter!